SAM is committed to providing its Associates with bespoke training programmes in preparation for their Advanced Test. Our Observers work as volunteers, selflessly giving their time towards this cause. They do this because they believe that training is not just about passing a test, but equipping riders for their biking futures, enabling them to get maximum enjoyment from their machines in as safe a manner as possible. The whole culture of SAM is very much about making friends, motorcycling fulfilment, and continuous rider development. Our extensive events list reflects this. Under a unique grading system we offer rides to suit all abilities, covering a wide variety of routes and distances. 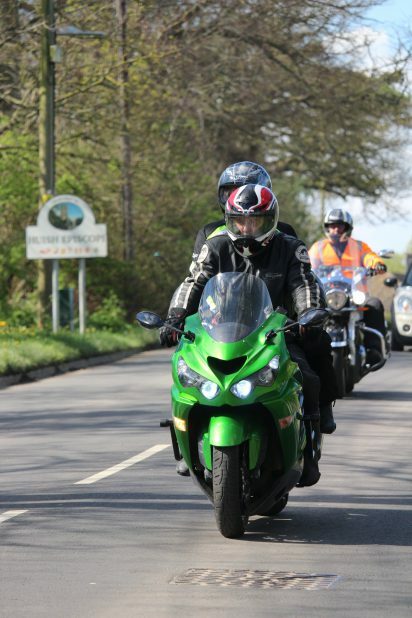 Many of our members take this a stage further, regularly competing in endurance events such as the Welsh and Scottish Rallies, or fulfilling personal ambitions like John O’Groats to Lands End. For a number of years now SAM has run its own very successful navigational rally – the South West Peninsula Spring Rally – which is open to all. Should you choose to join us, you will receive our excellent quarterly magazine, ‘Full Chat.’ Through this you will learn of opportunities enabling you to experience aspects of motorcycling otherwise not encountered outside the club, at very reasonable rates. We also participate in other events such as skills development held at Thruxton race circuit.